Whisky you may say, but this is a blog about wine surely? Well yes it is but as I am doing the Wine and SPIRIT Education Trust diploma, there is a certain amount of spirit tasting involved. And unfortunately I’m really not a fan of spirits, in particular whisky – it all goes back to a rather unfortunate incident when I was 17, but we won’t go into that! So on a rather glorious day in March I found myself at the English Whisky Company in Thetford ready to learn about whisky. 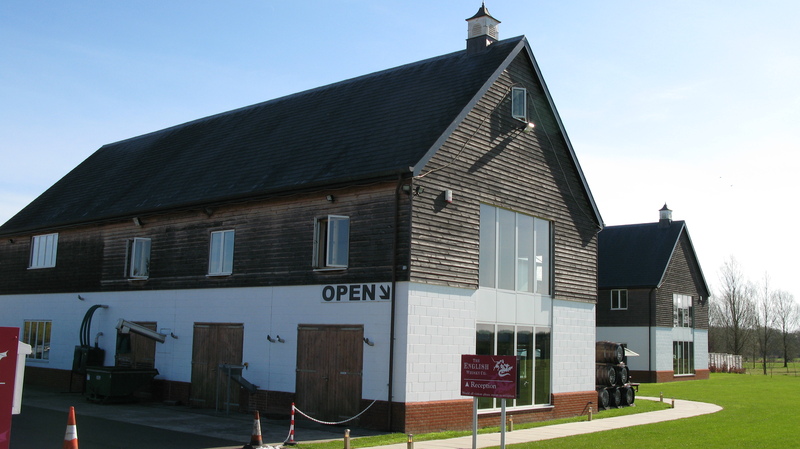 The company was started in November 2006 by the Nelstrop family and was the first whisky producing company in England for over a hundred years. The St George’s Distillery, home to the company, is sat on the River Thet and as you get out of your car your senses are assaulted by the smells of nature, malted barley and a faint hint of the angels share evaporating out of the American oak barrels. The tour begins with a DVD that explains the history of the company and talks you through some of the processes. The guide also asks you to smell two tubs – one filled with barley, the other with barley that has been treated with peat smoke – the intense earthy, smokiness is incredible. From there you are taken into a large modern processing room to see where the process of turning malted barley into whisky happens. There is a large tank in the middle of the room where the grist (ground malted barley) is being mixed with hot water from the Breckland aquifer some 160 ft beneath the distillery. This process, which is needed to extract the sugar from the barley, happens three times, each time with hotter water – the first two lots are cooled and collected in the washback; the final and hottest lot is retained and used for the first run in the next mash. The water from the first and second lots creates the wort (sugary liquid) to which the yeast is added. The distillery uses yeast from a company in Hull. The fermentation process takes 72 hours to complete turning the wort into a bubbling beer of around 8% abv. 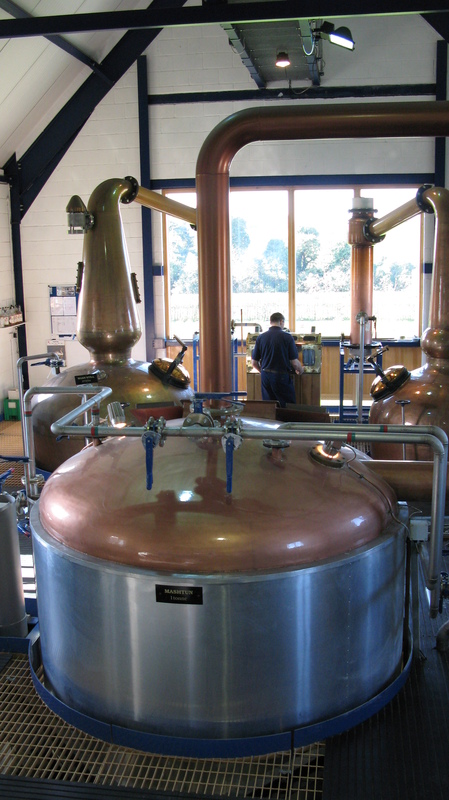 There are two pot stills – a wash still and a spirit still. They both look the same except, as my guide points out, that the necks are slightly different shapes so they allow for different reactions to take place. 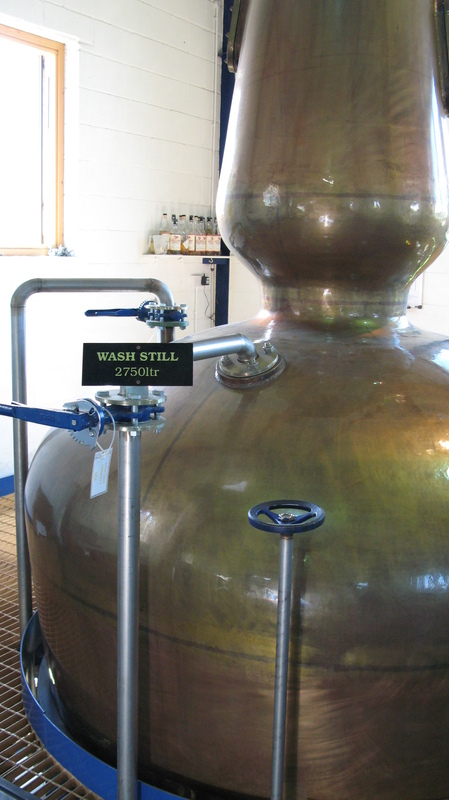 The wash still creates the low wine which then goes into the spirit still. It is in this still that they separate the volatile foreshot (first seven minutes) and the heavy, oily feints from the heart (or cut) of the spirit which is the bit that makes the whisky. After this the spirit is reduced in strength (to 68.5% abv) and transferred to oak casks. The English Whisky Company mainly use 1 year old Jim Beam casks (American white oak) which hold 200l of spirit but they also make whisky using former Port, Madeira, Sherry and Moscatel casks – each one imparting different flavours and colours to the finished product. American oak casks give vanilla, coconut and spice and leave the whisky a pale straw colour. In contrast sherry casks will give dried fruits, orange peel and a much darker colour. My guide told me that 40% of the flavour of whisky comes from the distillation process, the other 60% from the barrels. These casks will be used up to three times before being sold on – they can be used for blended whiskies. The amount of whisky lost to the angels is higher in Norfolk than Scotland and also the maturation is quicker due to the higher temperatures. The distillery looses around 3-4% from each barrel. The whisky must spend at least three years in barrel to be able to be called whisky (less than this and it can be sold as Malt Spirit). All of the whiskies made here are bottled by hand – a fascinating and exhausting process to watch – and at a push they can fill 1300 bottles a day. When I visited they were bottling a special edition whisky. After the tour came the tasting (although I had already tried a drop of the 68.5% abv spirit that goes into the barrels and nearly melted my tongue!). Knowing that I was very new to whisky my guide started me off with the Chapter 6 Classic Single Malt – a traditional unpeated whisky. And I was pleasantly surprised – it had aromas of vanilla and spice and smelt very fresh and young. On the palate it was smooth with spice, pepper and sweet vanilla from the Bourbon cask. Next we tried the Chapter 9 Peated Single Malt – and straightaway I remembered the grain we had smelt at the beginning of the tour. I couldn’t believe that the strong smokiness had remained through the distillation process, it was quite incredible. This one was definitely more for the connoisseur and although palatable was too heavily flavoured for me. Next my guide added a drop of water to it and the change was dramatic – it gained body, the smokiness mellowed and it had a slight oiliness to it. The tour was really interesting and has definitely given me more confidence on a topic I knew very little about. I am incredibly grateful to my guide who talked me through tasting the whiskies and pointing out the differences which will be essential for the upcoming exam. The site also has a cafe and shop where you can purchase their products as well as a wide range of whiskies from around the world. 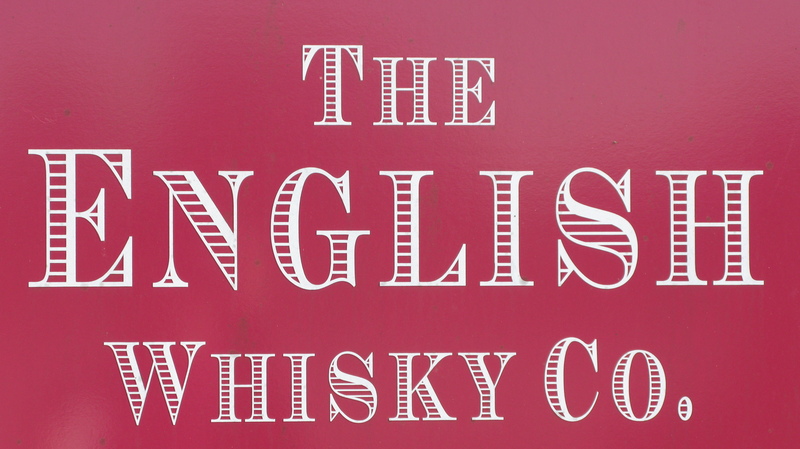 For more information visit http://www.englishwhisky.co.uk or call 01953 717939. An excellent journey through the processes and it’s almost as if I was there.